The dimming of lights has always been very popular, as it is a quick and easy way to alter the ambience of a room. When it comes to updating your dimmable lights to the more energy efficient LEDs, what are the things we need to be aware of? How do we know what dimmers and lights bulbs we need? Hopefully, this quick guide will give you a good basis of understanding of the different products on the market and which ones you will need. When it comes to lighting, there are different dimming options to consider, each with different benefits and different functions. There are two types of dimming modules, leading and trailing edge, which we will look at below. These dimmers were originally used for dimming incandescent and halogen lamps. 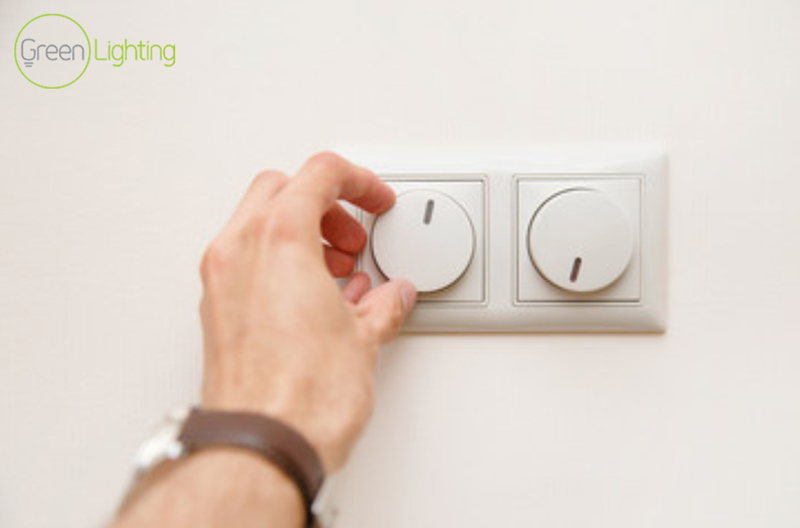 Due to their original use, these dimmers have a high minimum load, making them less useful for low energy lighting such as LEDs. These more modern dimmers have many benefits over the leading edge type. These improvements include smoother dimming with less buzzing and interference. Trailing edge dimmers have a much lower minimum load than the leading edge, making them far more suitable for powering LEDs. The biggest issues that arise when retrofitting new Dimmable LED Lamps is the high minimum load requirement of leading-edge dimmers. This means that several LED lamps will need to be run off the same switch in order to work. It is best to upgrade your dimmer switch to a newer trailing edge dimmer, which allows you to control lower wattage loads such as LEDs. You must also be aware of the 10% rule. When using a trailing edge dimmer, though it may be 400W and able to power that many incandescent lamps with ease when it comes to LEDs the maximum load is only 10% of this. This means, with our 400W dimmer example, the maximum load would only be 40W worth of LEDs. Alternatively, by using Chip-On-Board fittings, such as the D-Lux LED Downlights, with their electronically matched dimmer modules means there is no guesswork in purchasing your dimming option. How do I dim LEDs? When retrofitting new LED lamps, there are many things to consider. Check the new LED lamps are dimmable before purchasing (well-known brands, such as Crompton, tend to have been tested with a wider range of dimmers). Ensure your current dimmers are compatible with your new LED lamps. It is recommended, to ensure the best quality dimming, that old leading edge dimmers are replaced with the trailing edge. Ensure the maximum load of the dimmer (remembering the 10% rule) is not exceeded by the total wattage of the LED lamps. Establish the minimum and maximum loads of the dimmer. This will allow you to know how many lights are needed on the circuit. Make sure you have a combination of dimmable lamps and dimmer modules that work together, before purchasing.